Helen Colleen Burke (1930-2017) was a long-time educator, with twenty-five of those years as an English teacher at Fort Hill High School in Cumberland, Maryland. A 1948 graduate of Fort Hill High School, Colleen would go on to graduate from West Virginia Wesleyan College in 1952. Well known and thought of throughout the community, Burke was chosen in 2015 to serve as the Parade Marshal for the South Cumberland Business and Civic Association’s 66th annual Halloween Parade. 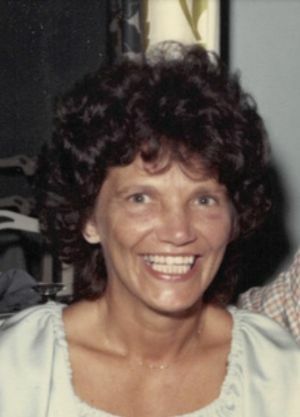 "Colleen was employed at the Second National Bank in Cumberland when she received the call to teach physical education at Beall High School (in Frostburg) for one year. She said she felt as though she were being paid to steal, having the opportunity to participate in and teach sports and fitness for a living. Next she was off to Glen Burnie Junior High School where she eventually began to teach English, her true passion, and then to Stafford High School in Virginia. She returned to Cumberland in 1958 to raise her children. Occasionally she worked as a substitute teacher, which she enjoyed doing very much. In the summer of 1967, she became a full-time English teacher at Fort Hill High School ... For the next 25 years, teach is what she did. She taught senior English, junior English, the American novel, advanced writing, journalism, was the adviser of the National Honor Society, the Senior Class, and the school's Pep Club, that under her leadership grew to be over 300 students strong each year. In the late 1970s Colleen became the adviser of The Sentinel, the Fort Hill school newspaper ... She also served as the English Department chair ... Colleen retired from full-time teaching in 1993. Helen Colleen Burke is survived by her sons, Kevin Burke and Michael Colin Burke; her sister, Sue Peskin; sister-in-law, Melva Lewis; and numerous nieces, nephews and great-grandnieces and nephews, and great-great-grandnieces and nephews.